What does Apple have in store for the iPad 2? Apple's iPad 2 is just weeks away from being officially announced. Apple's iPad 2 is just weeks away from becoming a reality, according to the latest rumours. Just what does Apple have up its sleeve to entice consumers in 2011? 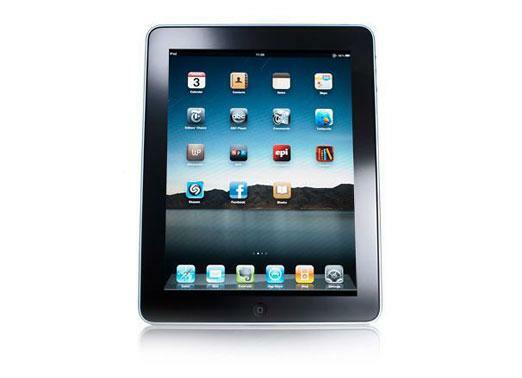 Read our comprehensive iPad review. Apple's iPad 2 is already in production — according to The Wall Street Journal. The report claims the iPad 2 will be thinner and lighter than the original, and will come with a faster processor, more memory and a more powerful graphics processor. The article quoted "people familiar with the matter" and also said the second-generation iPad will have a front-facing camera in order to utilise Apple's Facetime feature. It also claims that the resolution of the iPad 2's display will be similar to the first iPad, ruling out the inclusion of Apple's Retina display used on the iPhone 4. What do you want to see in the iPad 2? Let us know in the comments below!